Beyond the Motor City from Film Sprout on Vimeo. 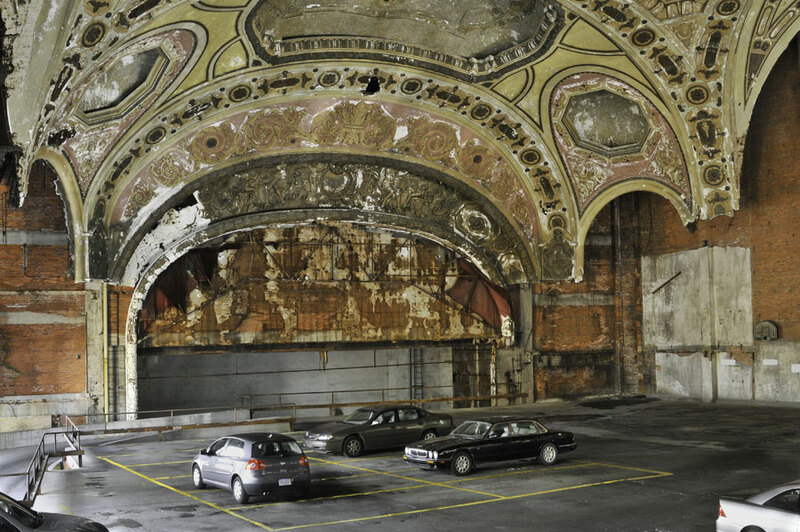 Beyond the Motor City — at the Dryden Theater, June 28. Bring Your Pals—It’s On Us! 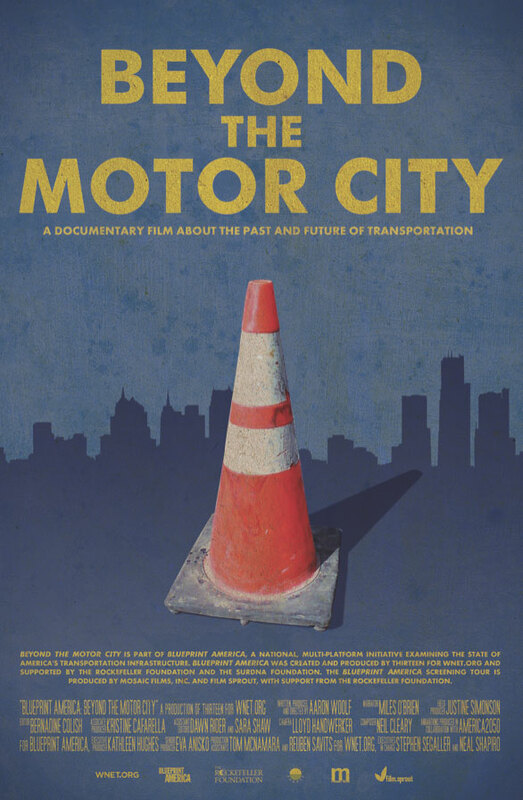 On Monday June 28 at 7:00pm you are invited to a FREE screening of PBS’s eye-opening film, BLUEPRINT AMERICA: BEYOND THE MOTOR CITY at the Dryden Theater. The documentary is touring cities across America to raise questions—and seek answers—about the future of transportation in America. 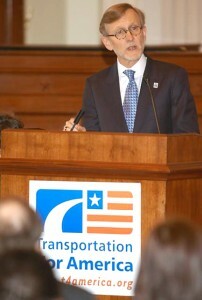 Can we build the “infrastructure of tomorrow” today? 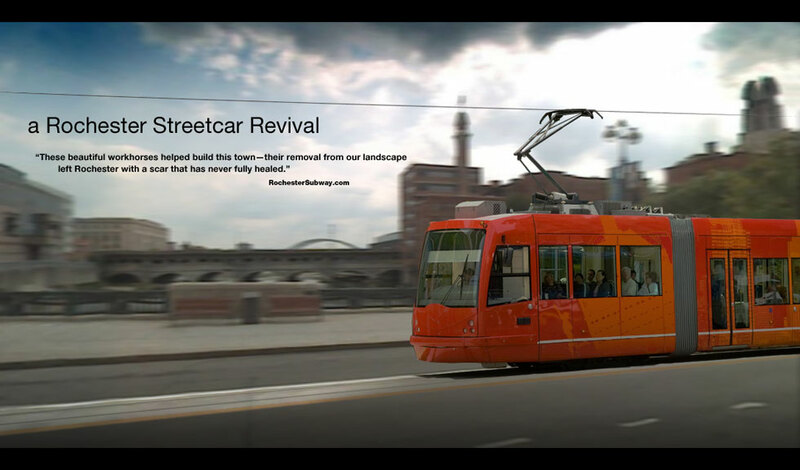 Can the cash-strapped and car-dependent cities of the so-called Rust Belt become new models for fast, clean, public transit? 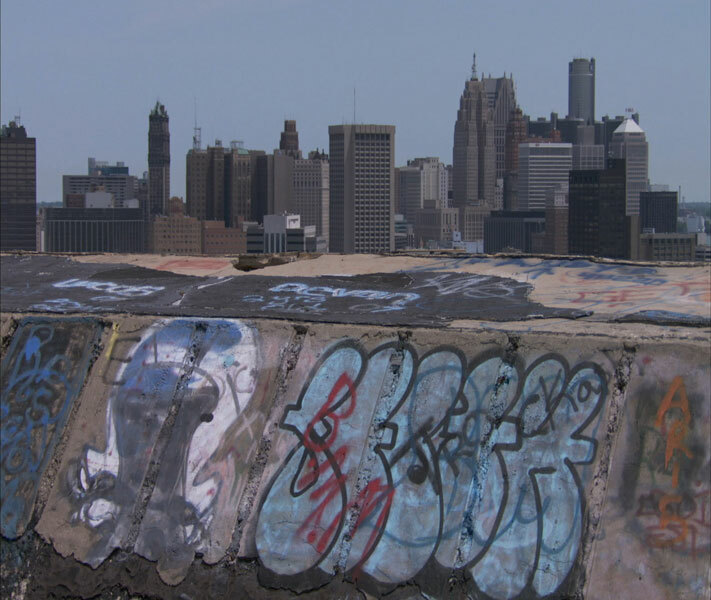 The links and similarities between Rochester NY and Detroit MI are glaringly obvious—and I think you owe it to yourself to see this film. This will surely be a thought-provoking FREE event and a great opportunity for you to take part in a very important FREE conversation for our community. So mark your calendar and bring some friends. Did I mention this is FREE?! examines how Detroit, a grim symbol of America’s diminishing status in the world, may come to represent the future of transportation and progress in America. 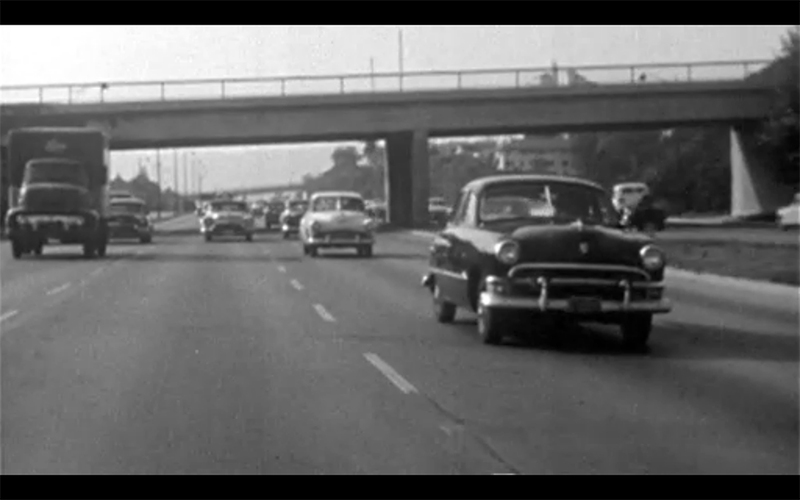 Narrated by Miles O’Brien, the film explores Detroit’s historic investments in infrastructure—from early 19th- century canals to the urban freeways that gave The Motor City its name and made America’s transportation system the envy of the world. 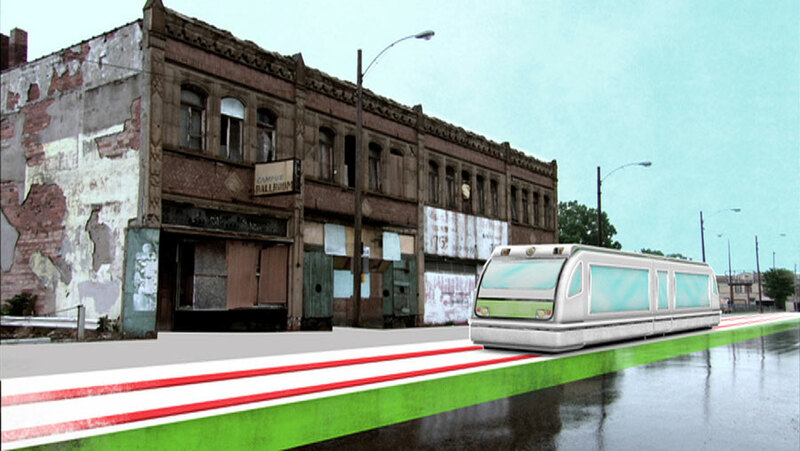 But over the last 30 years, much of the world has left Detroit—and America—behind, choosing faster, cleaner, more modern transportation. In a journey that takes us into the neighborhoods of Detroit and then beyond to Spain, California, and our nation’s capital, BLUEPRINT AMERICA: BEYOND THE MOTOR CITY urges us to ask how we might finally push America’s transportation system into the 21st century. 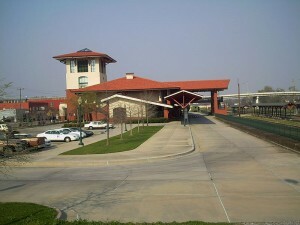 BLUEPRINT AMERICA: BEYOND THE MOTOR CITY is part of Blueprint America, a national, multi-platform initiative examining the state of America’s transportation infrastructure. Blueprint America was created and produced by Thirteen for WNET.ORG and supported by the Rockefeller Foundation and the Surdna Foundation. Rochester’s dazzling urbanites, development gurus, transit afficionados, preservation honchos, political luminaries, and architectural stewards are all very pleased that the Rochester Regional Community Design Center’s final lecture of the 2009-2010 season brings John Robert Smith to the Memorial Art Gallery on May 10th at 7PM. This enthuasism will surely spread like wildfire once the community at large understands what a tremendous impact this man has had in the realms of community revitalization and improving housing and mobility choices for citizens in communities with situations similar to Rochester. thought enough to make an appearance. There will be another public meeting in June/July to share the preliminary findings of the study so stay tuned and continue to share this story with friends and neighbors. We’ll need even more of you at the next meeting. 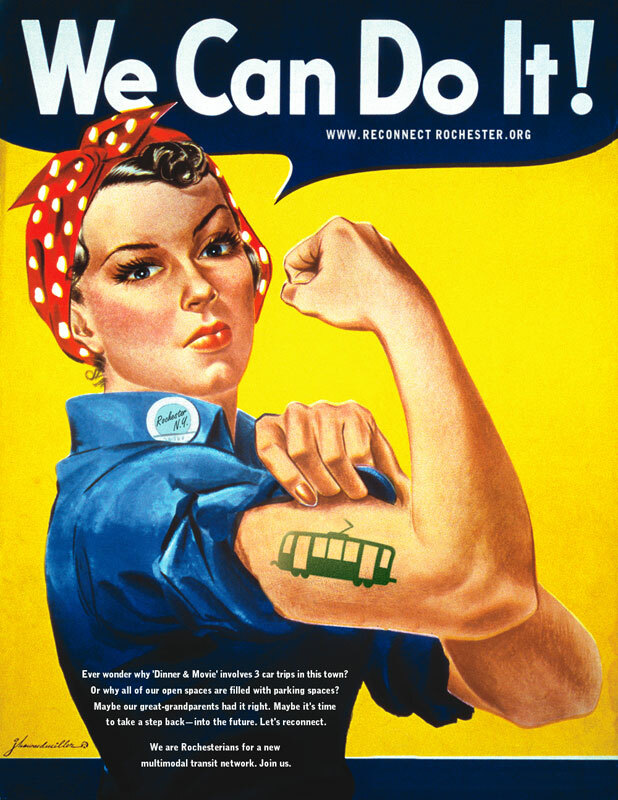 Monday 3/22 4-6pm… Let’s Show Up Rochester! 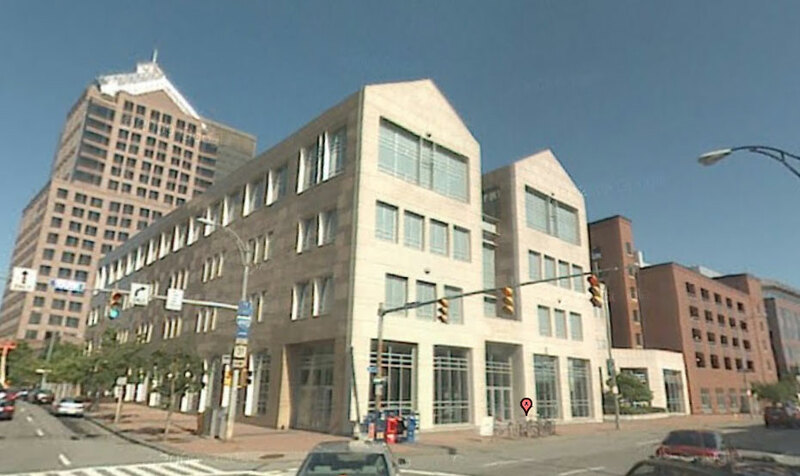 Posted by: Mike Governale, co-founder of Reconnect Rochester. has grown from 100 to over 400 (and counting), and my inbox hasn’t had a moments rest. This is all very encouraging and a sure sign that the people of Rochester really want to see their city thrive. The big question is; do the people of Rochester care enough to make an effort? All signs point to yes. So far we’ve got 12 people (including myself) who have risen to the challenge. Together we will lead a city wide movement to Reconnect Rochester.